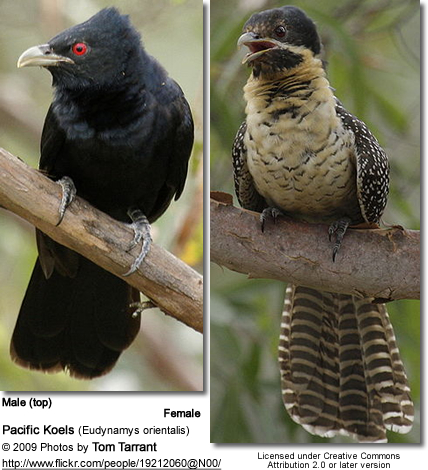 The true koels, Eudynamys, are a genus of cuckoos that occurs naturally in Asia, Australia and the Pacific region. 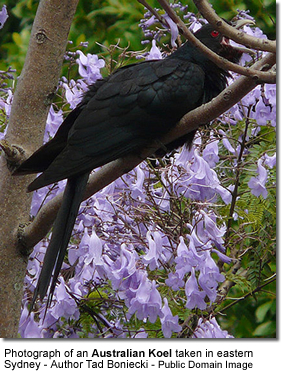 They mostly feed on fruits and insects. Their calls are loud. 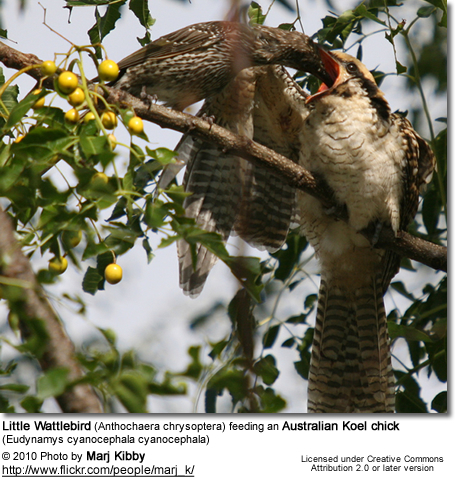 These brood parasites lay their eggs in the nests of other bird species for them to raise as their own.